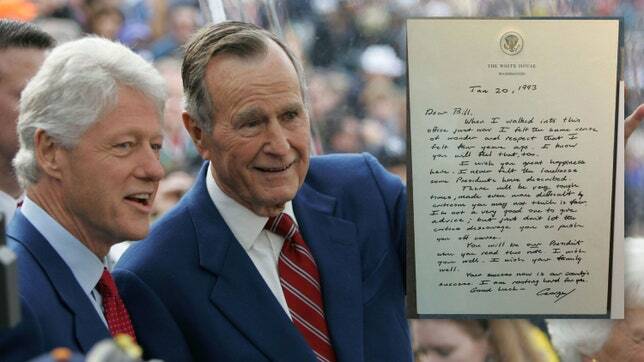 George H. W. Bush is always gracious. 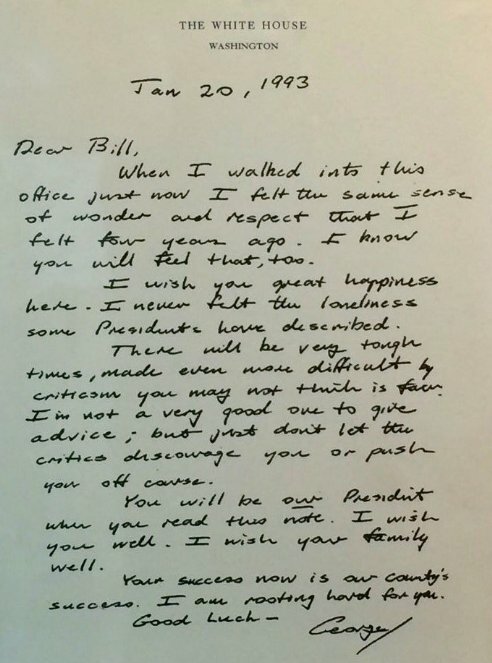 In his last hours in office, he penned a personal letter to the man who had defeated him, Bill Clinton. He left the letter on the President’s Desk in the Oval Office, one of the first things Clinton would see after the ceremonies, and as the weight of his new job began dragging him into reality.